The Internet is a powerful tool that is used for reading, viewing and hearing news and more. Thanks to the latest technology, it's possible for persons to gain easy access to multimedia such as music videos. Yahoo is one of the popular websites with a lot of great videos. If you are one of those persons who want to do more than watch videos online, you might need to download Yahoo videos on Mac to get instant access to your favorite ones even if there is broken link or no internet connection. 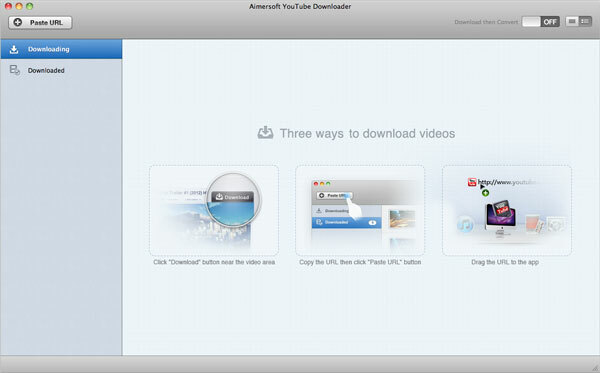 In this case, you can consider Aimersoft YouTube Downloader for Mac. 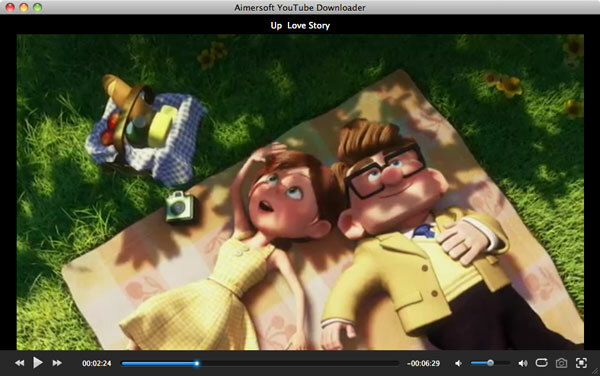 Aimersoft YouTube Downloader for Mac is recommended as a Yahoo video downloader since it can do more than just downloading videos from Yahoo Video. This professional tool is designed specially to help persons get video downloads directly from Yahoo and other sites in some easy steps by dragging or inputting the URL. Aside from Yahoo, you are free to use this tool when downloading from YouTube, Google, Dailymotion, Hulu, CNN, Metacafe, Vimeo and so on. After downloading, you are also free to view the videos directly on your computer or convert easily to portable devices such as iPhone, iPod, iPad, PSP and more. If you're using Windows (Windows 8 included), please turn to Aimersoft YouTube Downloader to download videos from Yahoo in Windows XP/Vista/7/8. Now just download the program and follow the tips below to get your work done in clicks. 1. Click on the download icon that you see on the left corner at the top of the video that you select. 2. After copying the URL of the video page, you can click the Paste URL menu to paste the URL. Once this is done, the video on Yahoo will start downloading immediately to your computer. 3. Drag and then drop the URL directly to the video downloader. You should know that this video downloader also offer advanced video management for you to add existing and downloaded FLV files to the library. With the FLV videos saved in an intuitionistic manner, you are able to play back the videos conveniently using a built-in player. Just get Aimersoft tool to download Yahoo videos today and gain easy access to all types of videos, be it for learning, leisure or fun. This is a really good way to download Yahoo videos. Before I had to use tools that wanted loads of my personal information or were packed with popup ads, but this program is just amazing and does everything you need with ease.